Yes Man Challenge #1 – What’s SUP? The Interactive Route Map is now live!! For the best part of a year I have been working on a way to create an interactive map that would help bring my journey to life. 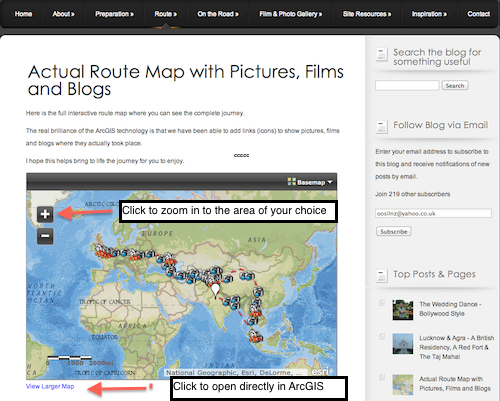 I wanted a way to combine my actual route map (made from satellite tracking points every 10 minutes on the road for over 6 months and counting), my blogs (to date this is 106th published post with just over half the posts going live while I’ve been on the road), my films (19 adventure / journey related releases), and my pictures (too many to count) along with my general observations and descriptions of places I’ve visited along the way. 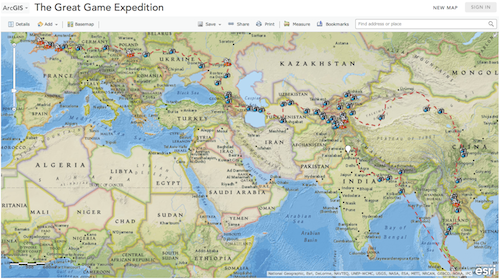 My hope is that this interactive map will help people’s understanding and fuel their imagination for each of the amazing places I’ve been fortunate enough to visit. And to show that the world is not such a scary place, but a more a place of wonder just waiting to be explored. The map is pretty straightforward to use but here is a little guidance on how to navigate the interactive map as well. You can move around the map by clicking you mouse and dragging the cursor to the location you wish to view. 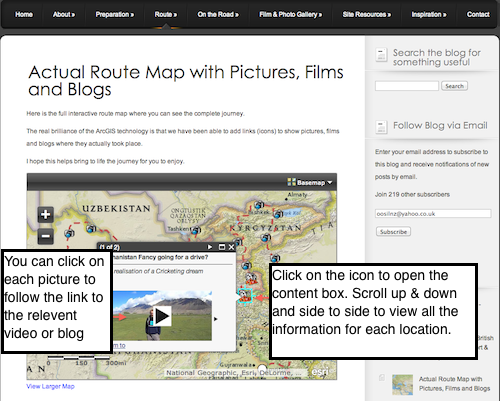 You can expand and contract the map within the website by using the + and – buttons on the left hand side. You can check the ‘View Larger Map’ link under the map for a full-page view like below. Special thanks go to Peter Kohler for creating this map from my resources. Without Peter’s hard work and dedication to this task it would still be just an idea. Peter is a member of my UK-based support team. You can check out his profile here. Please note: Peter and I are updating this map is fairly regularly, however there is a small lag. For a live tracking map check the following link here. Your help: This is technology that we are working with ArcGIS to develop. We would love to hear you feedback and thoughts on how it could be improved. Totally amazing dude. Well done. Cheers Steve. Glad you like it. An adventurous chap whose just completed a 30k mile solo overland vehicle expedition across Central Asia. 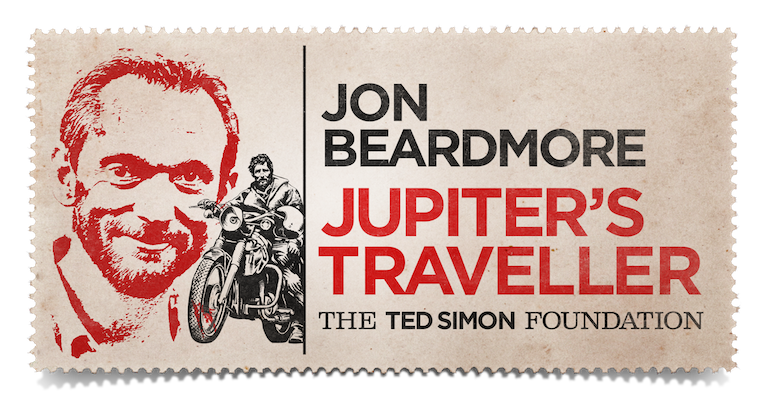 Now producing a book, documentary & speaking about it.